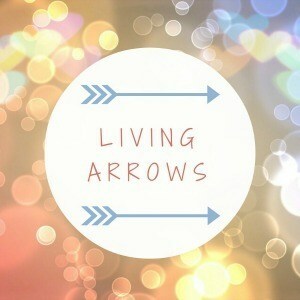 I can’t believe that I haven’t posted since last week’s Living Arrows post! Actually, that’s not true; I can quite believe it. I’ve not been in the right mindset for blogging lately, so I’ve decided to not worry about it and just take a break. I’ve been posting every other day on Insta Stories though, so I’m not completely out of the loop! Instead of writing, I’ve been trying to sort our house out! This past week, I’ve been reading a bit online about Kon Mari, and have been sorting our clothes and learning the art of the vertical fold. To be honest, I think it’s worthy of a separate blog post, so I won’t run on about it here, as Living Arrows is supposed to be about Little M, not me. This week’s Living Arrows photograph was taken at the library last Wednesday. We went for a Bounce & Rhyme session, but unfortunately it was cancelled. 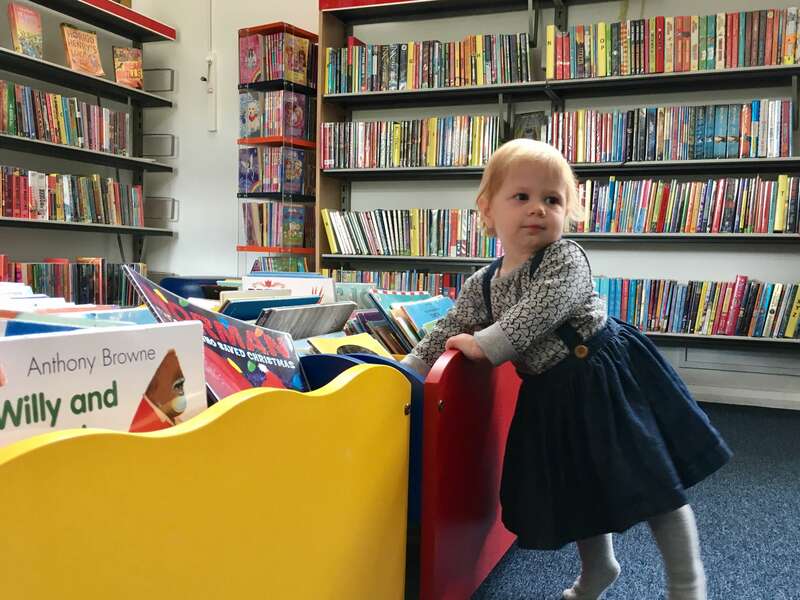 It didn’t matter though, as Little M enjoyed looking at the books, and we met up with one of her little friends there. This particular library also has a set of self-weigh baby scales in the children’s part of the library, so I was able to check that Little M is still tracking her curve in the ‘red book’, which she is. On Saturday we went to Banham Zoo with the in-laws for hubby’s birthday treat, and it was amazing to see how much more Little M got out of it compared to when we went in April. There was lots of pointing, squeaking and general excitement! It was a shame as the weather wasn’t up to much, but that did mean that we had the zoo practically to ourselves, so we were able to get a good look at everything! Unfortunately, since coming home from the zoo, Little M has developed a cold and has earned the nickname ‘Snotface’! She hates it when I wipe her nose and won’t ‘blow’ when I’m holding a tissue for her, despite the fact that last week she was pretending the blow her nose and doing it perfectly well! Typical! Any tips for teaching a 15 month old to blow their nose, most welcome…! Awww fab little library pic! Thank you, I’ve just been keeping Living Arrows ticking over, and hopefully I’ll get back into it again soon! Sounds great. Libraries are so undervalued.